If you ever needed the motivation to exercise more, this is powerful: It builds reserve mental powers that can help you hold on and function better in your old age, even if you develop any signs of dementia or Alzheimer’s. Researchers found that higher levels of physical activity were associated with better cognition in older adults. So was higher levels of motor abilities. The results came from randomized trials that tested the effects of physical exercise. The bottom line, to jump right to it, is this: more exercise meant better brain health, even when Alzheimer’s was present. Now for the details. James Mortimer, PhD, at University of South Florida and Yaakov Stern PhD at Columbia University enrolled 454 older adults at the Rush University Medical Center in Chicago in an experiment. Among them, 191 of these participants had already been diagnosed as having Alzheimer’s. Because of their advanced ages, women were in the majority—73% of the group. The team ran 10 tests to assess the participants’ motor abilities. The patients were also given a continuous multi-day accelerometer to measure their activity. The scores were reported in “counts/day.” The average for everyone was 156,000 counts/day, and the most active participants without dementia reached 180,000 counts per day. Those who already had dementia averaged 130,000 counts/day. The team also tested everyone for five cognitive abilities. These included remembering words, perceptual speed, visual-spatial ability and two types of memory. They also tested 10 different motor abilities. These elderly patients were tested about two years prior to their deaths. The team then autopsied the brains of those patients who died for signs of dementia. The team looked for 10 different kinds of evidence including simple hardening of the cerebral arteries to plaques and Lewy bodies. About 85% of the patients did have two or more signs of brain pathology at death. Now comes the good news. Mortimer says it appears that exercise increased brain tissue. Most important, exercise even leads to growth in brain tissue of the hippocampus. The hippocampus is often the first part of the brain to show atrophy (wasting) that indicates Alzheimer’s disease. This is science, so we have to introduce some statistics here, but it’s worth it. For each standard deviation above the average total daily activity or motor abilities, there was a significant reduction in the risk of Alzheimer’s. Exercise lowered risk 55% and motor abilities 31%. This experiment does not mean that exercise or standing on one foot without falling will prevent Alzheimer’s. 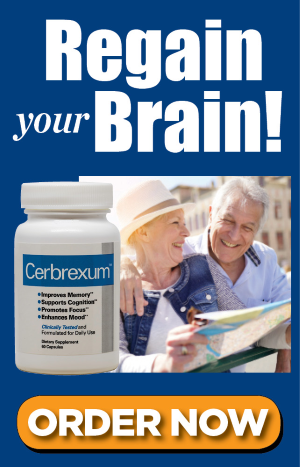 But it does establish that the increase in new brain tissue and increases in important chemicals like a brain-derived neurotrophic factor that exercise creates can significantly push back the effects of Alzheimer’s in old age among people who do develop it.